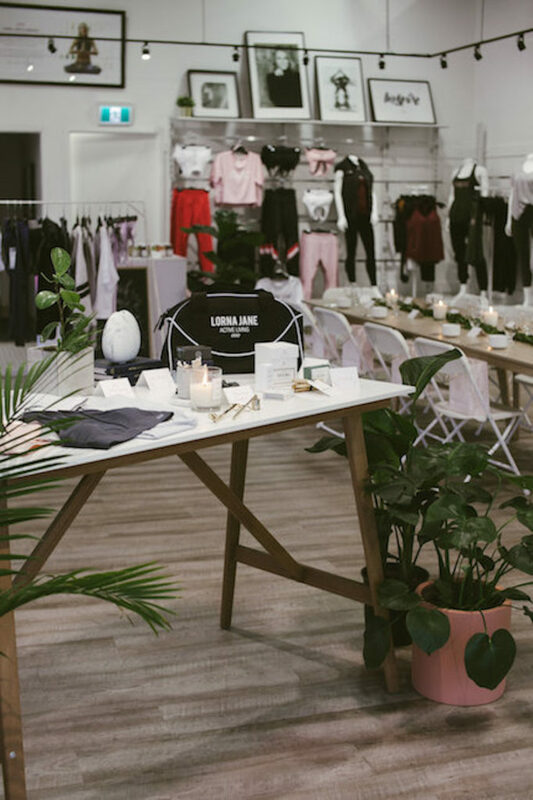 I learned about Lorna Jane Active a few years ago and have loved the brand ever since. 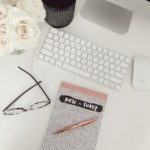 Firstly because of their designs — thoughtfully created with hidden pockets, high supportive waist band and wide range of colours and styles, and secondly because of the high standard of quality used to make all their garments. As you know I’m in the gym often doing weight training or boxing and I’m pretty hard on my gear. I need it to keep up and help me move through it. There’s NOTHING worse than giving it your all and having your leggings practically sliding down your waist. Been there. Not going again. 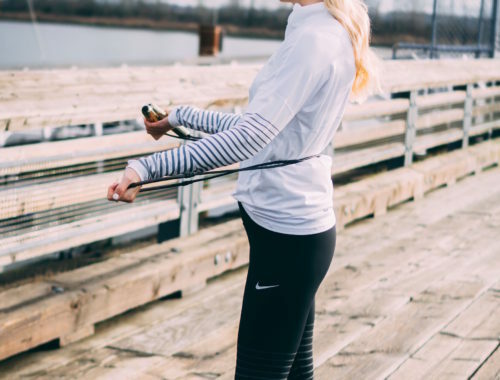 Workout clothes aren’t cheap. I’ve been wearing Lorna Jane regularly for just about a year and all of my pieces (leggings, tanks, pullovers and sports bras) are still in great shape. The materials used move and breathe well and stay put, so to say I’m a fan is an understatement. 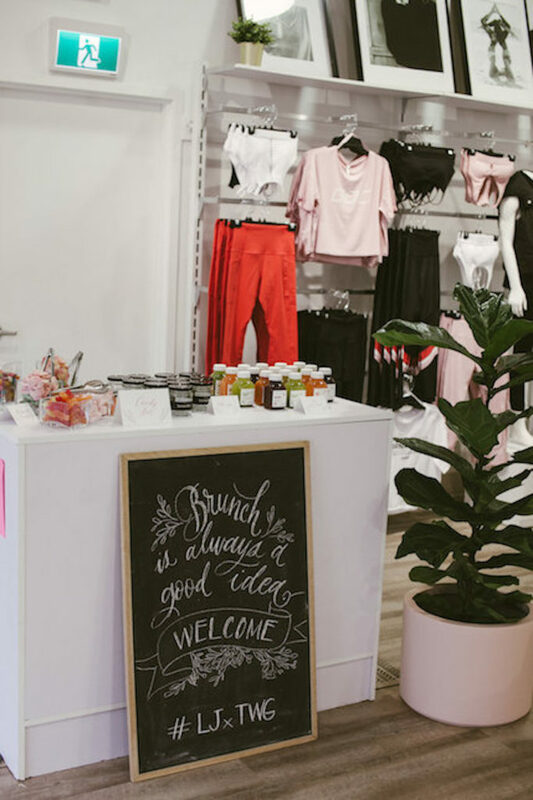 I was incredibly flattered when they asked me to co-host a fun wellness morning (media event) in the store for the launch of the Vancouver flagship opening. 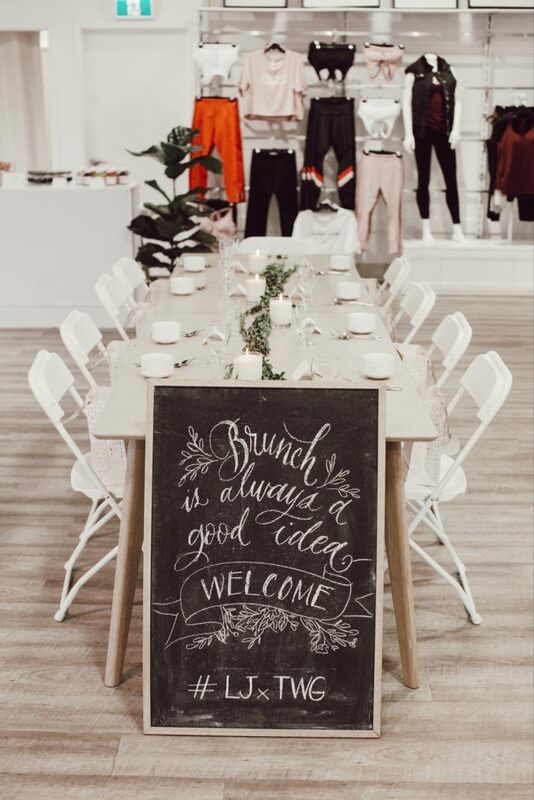 To celebrate, I wanted to invite some of my blogger pals into the store for an intimate long-table brunch. 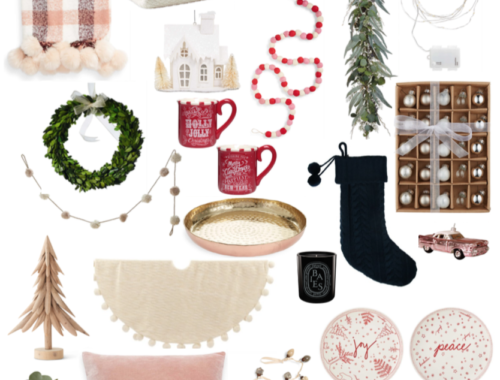 With only 6 weeks until Christmas, we agreed it was perfect timing to take a step back and enjoy the moment before the season gets a hold of us all. 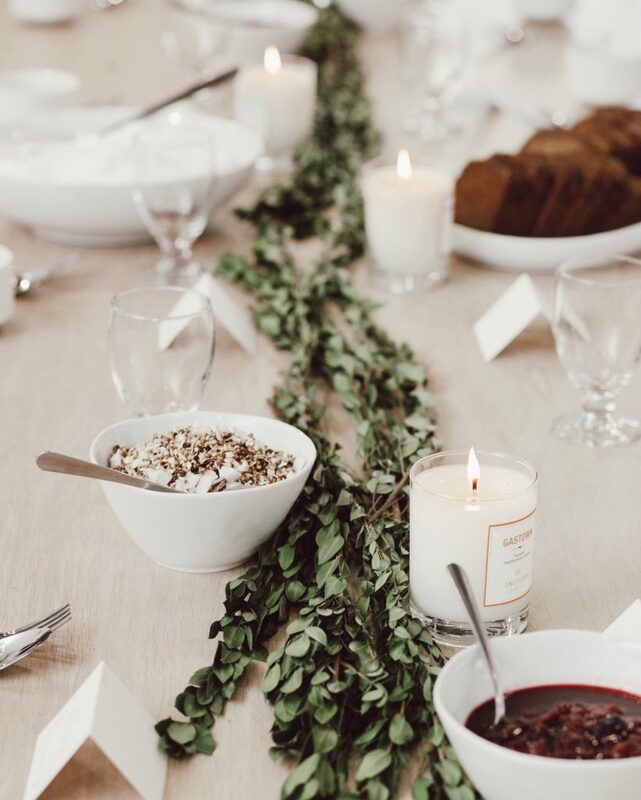 We centred the morning around wellness and all the things that have had a positive impact on my personal wellness at home and in life in general. Healthy brunch: we had Kokomo create a vegan house made coconut yogurt bar complete with raw granola and fruit compote. I wanted to serve something healthy, filling and not overly complicated. 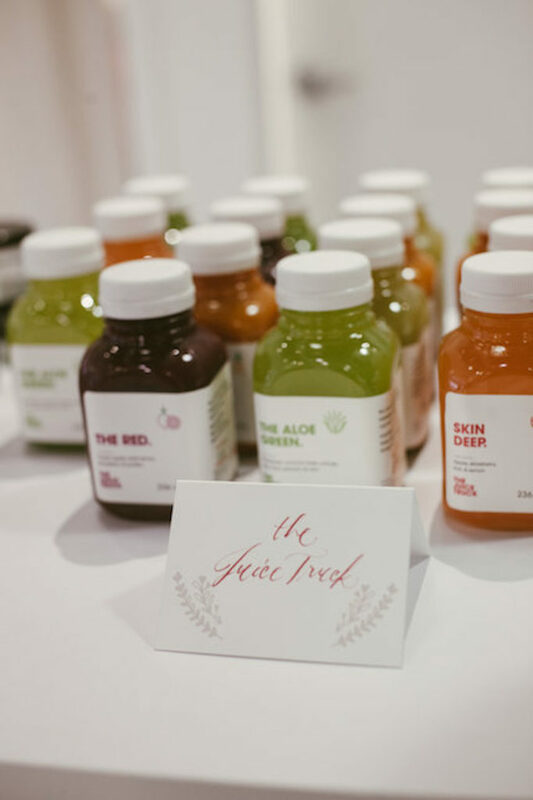 Also on the table, cold pressed juices from The Juice Truck and pumpkin + banana loaves by Erin Ireland of ItsToDieFor.ca. 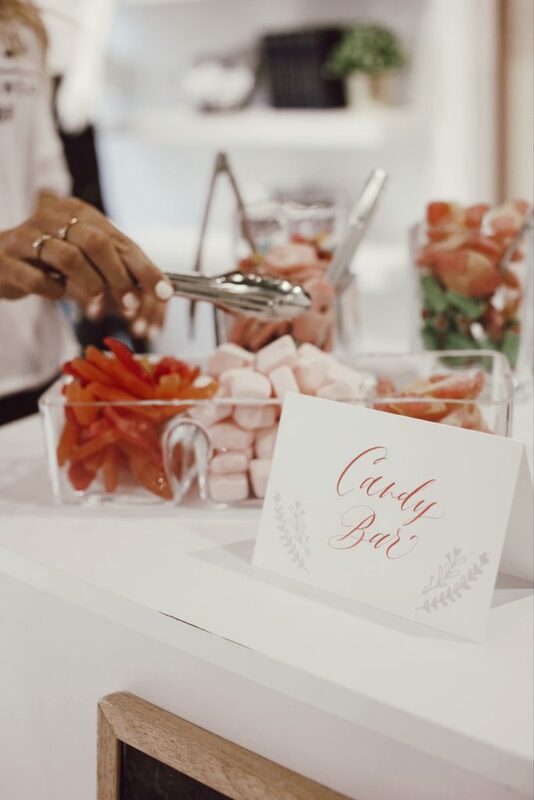 Finishing touches included handmade custom name cards for our guests done by Maurelle Calligraphy, candles burning from Vancouver Candle Co. and gorgeous greenery from my pal The Plant Junkie. 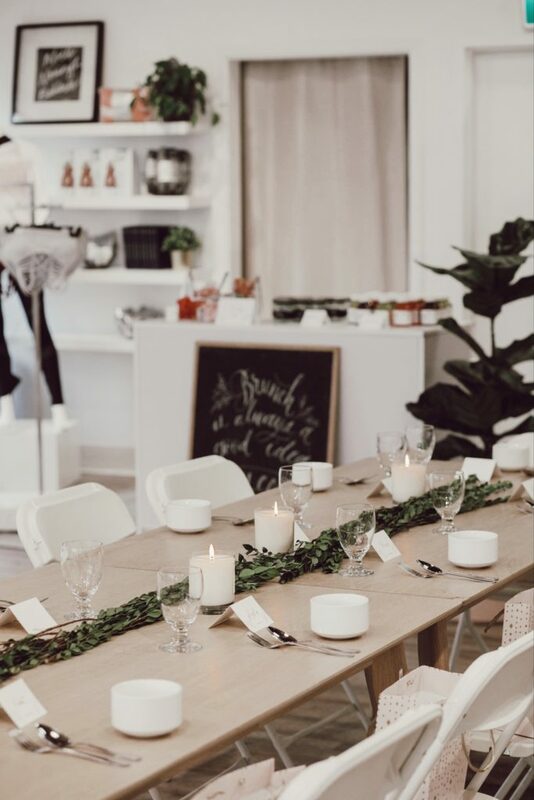 The Plant Junkie provided all of the gorgeous plants and greenery that filled the space, along with hand painted pots to match the showroom design and made by Sarah at Hudson & Oak. 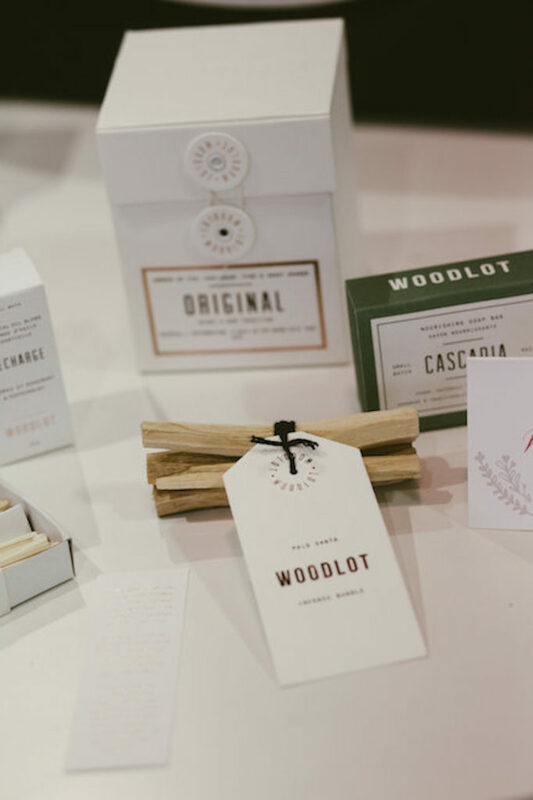 At the front entrance of the store, I created a tabletop shop of some of my favourite wellness brands local to Vancouver. 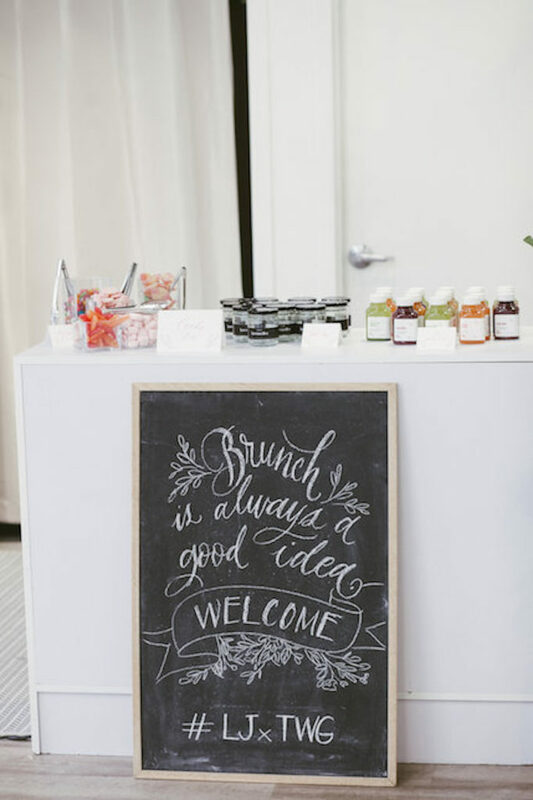 When it comes to wellness, the act doesn’t need to be big or complicated. 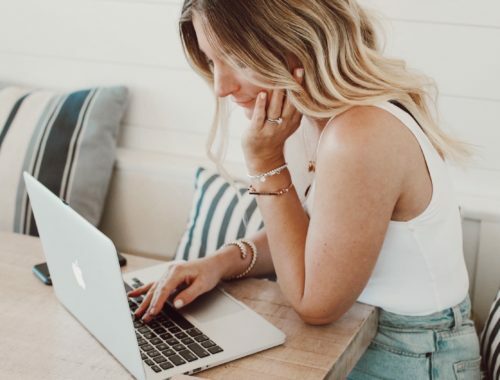 It really can be as little as having a beautiful candle lit (Vancouver Candle Co.), diffusing essential oils (Saje Wellness) or burning palo alto (Woodlot) at home. I believe wellness is essential and needs to be incorporated everyday to feel my best. 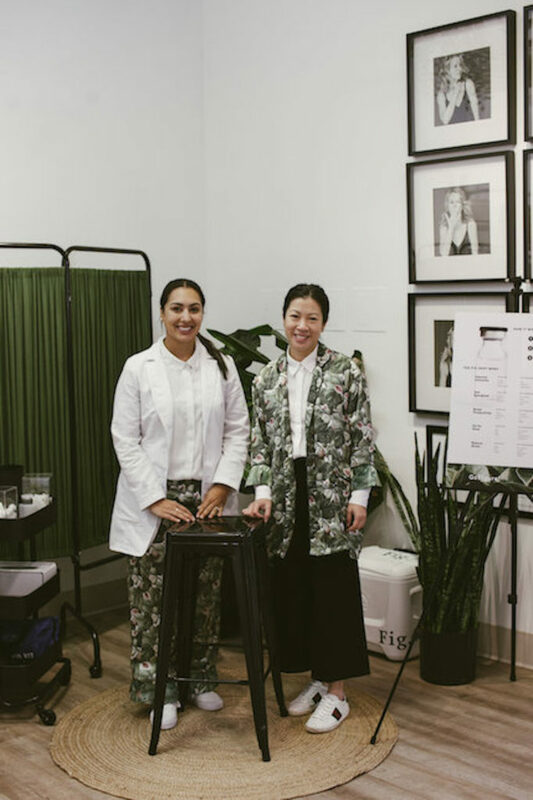 I also believe that wellness starts from the inside out so I was super excited to have Fig Facial there providing our guests will complimentary Vitamin Shots of their choice. You can view their shot menu here. 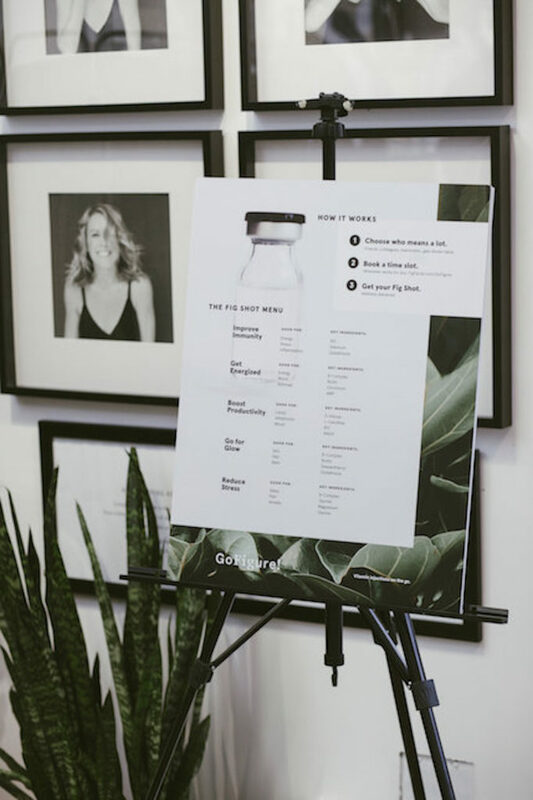 I had my first round at the Goop summit last month (had the B12 shot for immunity) but went with the Go for Glow shot which is good for skin, hair and nails. 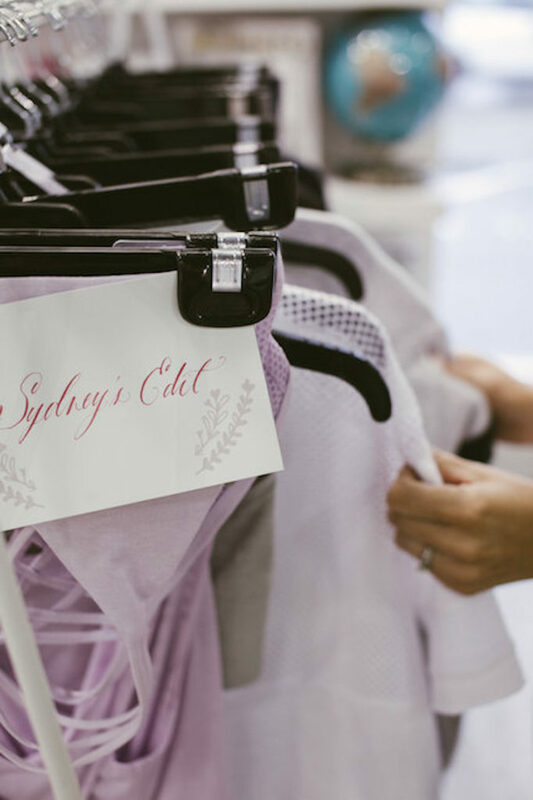 After brunch we invited everyone into our custom ‘Sports Bra Shop’ to pick out whatever they liked, try them on, ask questions and learn more about the brand. Just a sidnote: I’ve tried many sports bras in my time (boxing for 5 years) and these are the most supportive I’ve worn. They have tons of different styles and cuts, are comfortable, keep in place and the perfect fit. What’s wellness without balance? 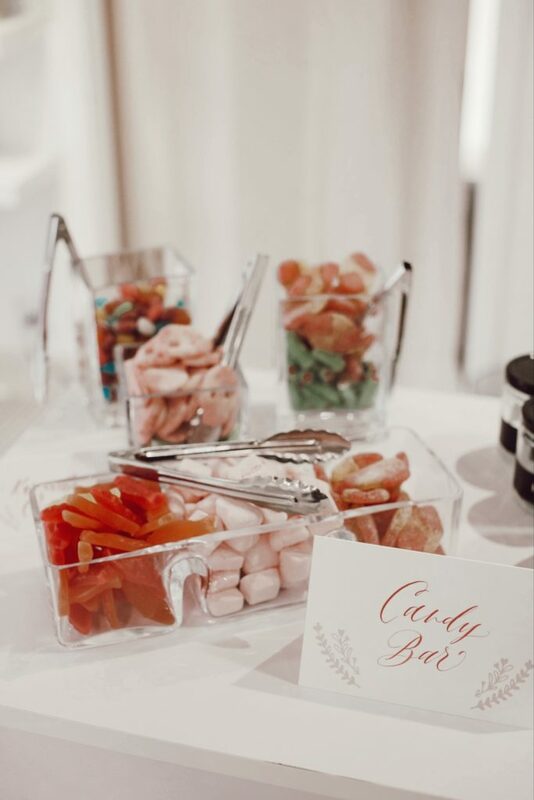 We invited Karameller Candy to the party and styled a Candy Bar within our Sports Bra Shop so the girls were occupied while they waiting for an open change room.